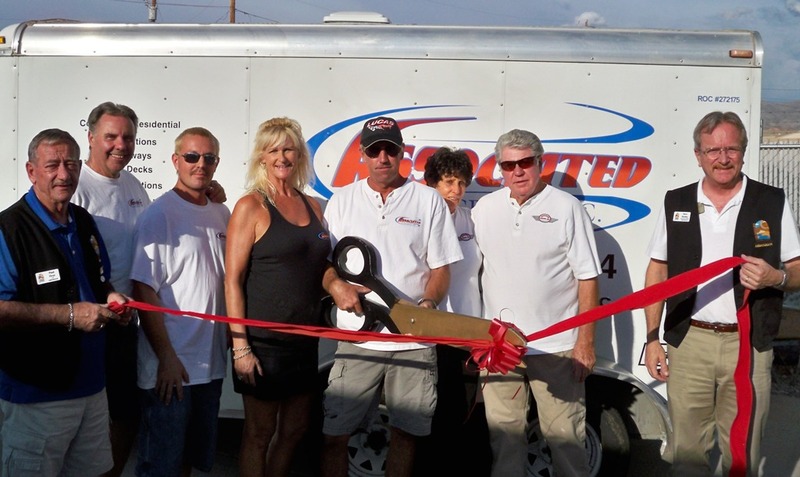 The Lake Havasu Area Chamber Ambassadors held a ribbon cutting for Associated Concrete, Incorporated who has been doing business in the concrete industry for over 35 years. They do all aspects of concrete work including concrete stamping and also specialize in pool deck restorations. On hand for the ribbon cutting are; Paul Hoyt, Teddy Popovich, Miah McIntyre, Julie Watson, Dan Watson, Carol Watson, Scotty Watson, and Steve Bentley. Located at 2633 Kiowa Boulevard, Associated Concrete, Incorporated can be reached by calling 854-1854.